Your name here! Become a sponsor. Basket Toss 1 Your name here! Become a sponsor. Disc Drop 1 Your name here! Become a sponsor. Bottle Ring Toss 1 Your name here! Become a sponsor. Lollipop Tree 1 Your name here! Become a sponsor. Duck Pond 1 Your name here! Become a sponsor. Bean Bag Tic Tac Toe 1 Your name here! Become a sponsor. Corn Hole 1 Your name here! Become a sponsor. Octopus Ring Toss 1 Your name here! Become a sponsor. Roller Bowler 1 Your name here! Become a sponsor. Bounce Houses 2/5 minutes Your name here! Become a sponsor. Giant Slide 1/ride Your name here! Become a sponsor. Here’s some of last year’s great prizes! Tickets are $1/ticket or $10/12 tickets. Stop by the Visitor Center to purchase in advance, or look for the Donation Drawing booth at the event. If you would like to contribute or have any questions, please contact us at jennifer@grpg.org or 408-298-7657. Click here to contact us if you’d like to join us as a business or food vendor. Want to test drive your Halloween costume? Check in at the Pumpkins in the Park stage at 11:10, 12:25, 1:45 (meet about 10 minutes before each time) and get ready to march across the stage and out into the event grounds to show off your duds. 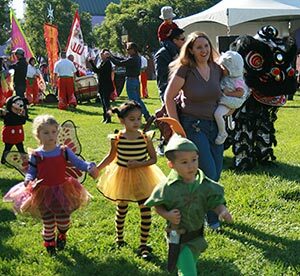 Afterwards, remain in costume or slip into something more comfortable and enjoy the myriad of great activities. 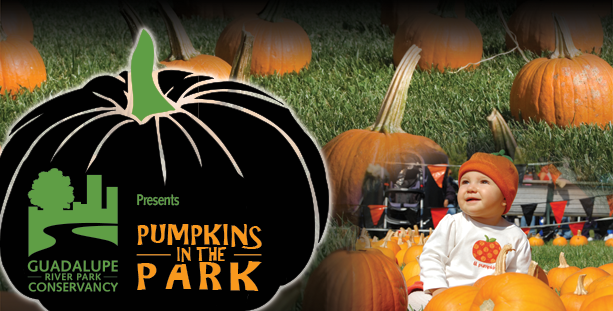 Just one more fun thing to do at Pumpkins in the Park! If you would like to be a vendor, sponsor, or contributor, please Contact the Festival Coordinator. For information on sponsorship and underwriting opportunities, please click here.